Geography: South East, Surrey. The whole of the Spelthorne council area. Main population centres: Staines, Ashford, Stanwell, Sunbury, Shepperton. Profile: A suburban seat on the northern edge of Surrey, almost wholly within the M25. It consists of several suburban commuter towns, set between a collection of large reservoirs. While it is an affluent and Conservative area, it is does not quite reflect the leafy detached wealth of most of Surrey - thereare working class neighbourhoods here in Stanwell. The seat is just to the south of Heathrow Airport which is a major factor in the local economy, both as a direct source of employment and in attracting various company headquarters that have based themselves locally. The seat also contains Kempton Park Racecourse and the Shepperton Film Studios. Politics: Conservative held like all of Surrey, though less monolithically so than some other seats, Spelthorne has been represented by the party for most of the seats history, the only exception being a brief Labour victory in their 1945 landslide..
KWASI KWARTENG (Conservative) Born 1975, London. Educated at Cambridge University. Former Investment analyst and author. Contested Brent East 2005, Londonwide list 2008 London elections. First elected as MP for Spelthorne in 2010. Former Chairman of the Bow Group. KWASI KWARTENG (Conservative) See above. PAUL COUCHMAN (TUSC) Contested Spelthorne 2010. I’m posting this on this thread, since I have done a little election work here & intend to be here tomorrow. If I have wrongly included an authority which isn’t voting tomorrow, I apologize. A Tory hold in Staffordshire would have been my prediction a month or 2 ago, but I’m now inclined to think that on balance UKIP will do well enough to win some Tory seats themselves, and tip 1 or 2 marginals over to Labour. and do you have an inkling on national share of vote? 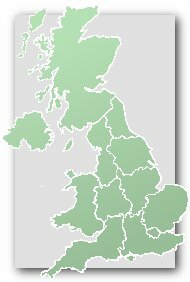 From what I’ve seen I’d be very surprised if the Tories won Stanwell, despite the large personal vote that the outgoing county councillor Victor Agarwal clearly had.There are serious Labour attempts to gain some other seats in Surrey but I remain to be convinced that they are likely to be successful. A small point Pete – it’s Robert not Richard Evans. and incidentally Robert grew up in the Stanwell area, though you are quite right that he lives in Weybridge. Joe I agree that Somerset is a hard one for the Tories to hold, but these LD/Con battlegrounds are always notoriously difficult to call. Until recently I missed the fact that UKIP took 4,000 votes in 2010, probably because I was focussing on the new Tory MP’s 10,000 majority. UKIP’s candidate here in 2010, Chris Browwne is now a Runnymede councillor after a byelection win in March. as it is a difficult one to call. But for what it’s worth. National projected share of vote. and are going to vote for something. Those shares look reasonable to me. A 45% poll would be nice. I hope it isn’t something really crap – 28% or below. I still hold out some optimism of 33 but I don’t think so with a UKIP vote that big. I think Ed will have a few questions too though. and move Ballsup to Agriculture. So in 2009 the difference between the actual shares and the projection was for the Conservatives to be 9 percentage points lower, the LDs the same, and Lab 9 percentage points higher. On the whole I agree with Barnaby’s prediction although I think Labour will be the largest party in hung councils in Lancashire and Staffordshire and the Conservatives will hold overall control of Warwickshire. All those councils will be close and so will Somerset where UKIP vote splitting will tip some divisions over to the Lib Dems, but the Tories will on balance retain overall control. I agree that a Tory retention is a distinct possibility in Warwickshire, despite the fact that, if there were a general election today, Labour would probably win 4 of the 6 seats there. The Tories will win an overwhelming majority in the other 2 however & will win some seats at least in all of the 4 concerned. It looks likely to be close to me; the LDs can’t expect to win much in that particular county but I suspect that the Tories may JUST narrowly fail to gain an overall majority. But a Tory majority wouldn’t surprise me all that much either. Just off to Stanwell now though I have work appointments in the afternoon & can’t be there for long. The Tories currently control 27 county councils. One of the main headlines on Friday and Saturday will be just how many of those they still control after the votes are counted. well, at least I contributed to a Labour win, in fact reasonably comfortable, if only because of the right-wing vote being split. I warned Robert Evans that he might well be in glorious isolation in the council chamber, and unfortunately I’ve been proved right. Moving on to the general election. This looks like the kind of seat UKIP could do well in – not a marginal, Con 1st, LD 2nd, Lab nowhere, and a strong UKIP showing in 2010. Not saying it’s likely to be one of the best, but these are the sort of conditions for UKIP to do well. IMO the point of the local election results is to give an indication of how things might go at the general election. I’m not so interested in the local elections for their own sake. Sorry Andy JS, my opening line was not intended as a dig. I fully agree that local election results are of interest for precisely the reason you mention. What is your opinion of my premise though? Seats with the sort of electoral conditions this one has are, in my opinion, the most theoretically fertile territory for UKIP. The LDs have done pretty appallingly here this May – they did quite well across much of the area in 2007 Districts. I think Labour will just nose into second but partly by default, and the Tories could re-establish some support which was below average in 2010. More than two-thirds voting either Con or UKIP — 67.55%. It now looks very likely that Heathrow will get its 3rd runway, but the location will be to the south of the airport in this constituency, rather than to the north in Hayes & Harlington as was originally planned some years ago. Kwasi Kwarteng and Spelthorne council are said to be quite supportive of the idea, nevertheless the opposition in other neighbouring areas remains massive. Not least, in very politically important constituencies such as Richmond and Brentford. This is now going to blow up into a big issue by 2015 for sure. It will be really interesting to see the position that the Lib Dems and Labour take, both nationally and locally. but it was quite striking that Spelthorne was one of the very few authorities the Tories held in their biggest ever disaster – 1995. It corresponds to the constituency. But I think part of the reason for this is the more ordinary nature of this territory meant the Lib Dems were weak in the area. Instead it was a Labour distant second that still couldn’t get high enough. I think my prediciton for UKIP at 13% above may be a little high – perhaps 10-12% is more likely. It is worth noting that while the Tories did retain control in 1995 – IIRC by 21 seats to Labour’s 16, and perhaps some LDs were elected in (I’m guessing here) Sunbury Common – Labour did actually obtain a very small plurality of votes over the Conservatives in the borough. Yes there were 3 LD seats and pretty sure those were Sunbury Common – I think the Labour Party polled around 40% with the Tories on 39% although I did see some other figures with the lead fractionally reversed at about 39-38. Perhaps someone added up the split votes in a different method. Incidentally, the Tory share is about the same in 2013. Surprising how Labour have managed to hold Stanwell North in CC elections despite being wiped out in the BC here since 2003. I recall another situation in Epsom and Ewell in the 1981 county council elections where the Liberals had a shock gain over Labour in Epsom and Ewell West which contains Ruxley and West Ewell both of which were RA wards and have never returned Lib Dem councillors. Strangely enough it remained Lib Dem until 1997 and they never gained a borough councillor here. By-election here today in the Riverside & Laleham ward.. held by a deceased Conservative… all four parties with hat in the ring..
part of the reason why Labour have failed to win borough council seats in Stanwell has to do with the way the boundaries are drawn; part of Ashford is included with Labour’s strongest part of Stanwell for borough council elections, but not in the county council division. However, perhaps more importantly, Labour is able to devote a lot of outside resources to Stanwell in county council elections, with party workers from Slough being particularly in evidence (Slough doesn’t tend to have elections at the same time as Surrey County Council) whereas in district council elections the local party branch is left far more to fend for itself. I was able to help there this year and there were plenty of Labour Party workers, only one of whom apparently was from Stanwell. One of the 2 Stanwell wards didn’t even have Labour candidates in the last borough elections. I’m not sure what the % changes are since May 2011 – I’ve not worked it out myself – people on Twitter get their maths wrong – some saying the UKIP rise is 8% – others Plopwellish 18% but I dk which is right. Labour didn’t stand in 2011 and this looks like a fairly good result for them. As for the LDs – well keep it coming our way. Conservative Home indicates a 6.5% swing to UKIP since 2011.
so people keep calculating it wrong. Do Conservative Home actually report local Government by-elections any more? I think this is a fairly good bet for a substantial Tory increased majority – the Lib Dem vote is crumbling in Sunbury and Labour may actually push past them – but not as much as 1997-2005. There should be an incumbency boost aswell. UKIP could come second here if they have a good election in general, although that’s moot at this stage. I think Labour will come second – but quite a weak one – low 20s. The LDs may end up scrapping it out with UKIP for 3rd and 4th – maybe what’s left of their Sunbury base will enable them to win that battle. A lot still up in the air – wouldn’t like to say any of that is a firm prediction. Joe – there is a column by Harry Phibbs about local by-elections in ConservativeHome, but it tends to take a while to appear after the relevant elections. Thanks Barnaby – I found it – it’s quite a good summary. But I can’t really be bothered to wait for someone to dig the rusty type writer out – in fact dare I say it it’s the LD council site where people pull their finger out, but you have to subscribe to it now I think. It still gives a Conservative majority comparable to that in the 2001-5 parliament, but I can understand where you’re coming from. His book Ghosts of Empire was quite balanced compared to the likes of Niall Ferguson. I don’t like the guy’s politics but it’s a bit much to impute views to MPs which can’t be traced. Tory Cllr Asif Ayub has been convicted of 5 counts of assault of his ex girlfriend. He was on the Tory Candidates’ List and infamously referred to David Cameron as, “the Messiah” at the 2012 Tory Conference.